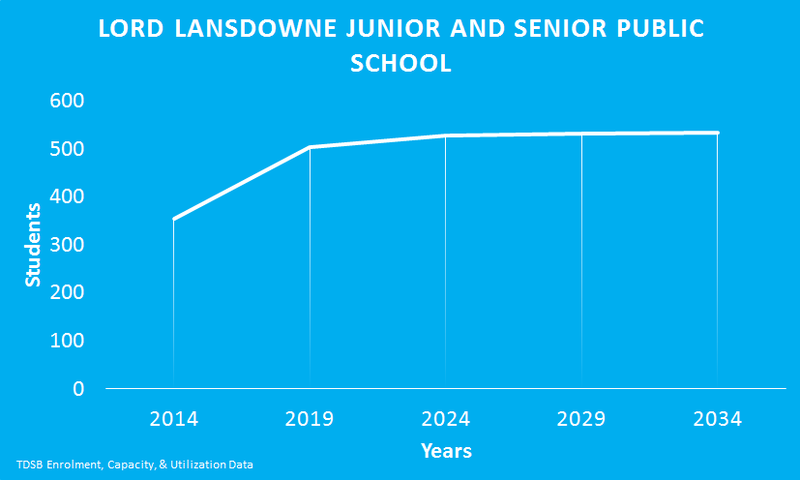 The TDSB projects that Lord Lansdowne Junior and Senior Public School’s enrolment will continue to grow over the next 20 years. By 2019, the school will be overcapacity. Lord Lansdowne Junior and Senior Public School is an Integrated Extended Day school where students stay an additional 30 minutes every day to participate in the International Languages Programs.